How will your hospital survive in a healthcare environment where revenues keep shrinking and expenses continue to rise? It's a question the consultants in the Consulting Services division of Schumacher Clinical Partners (SCP) are asked on a regular basis. Healthcare leaders are now laser-focused on growing margins, reducing costs, and differentiating service offerings to best serve patients. Taking a few pages from the playbooks of today’s leading innovators, these six initiatives are designed to fit today's complex reality. Consider implementing these ideas in your hospital strategic plan and see the difference they can make. Former Speaker of the House Tip O'Neill was famous for saying "all politics is local." Much the same can be said of healthcare, which is why it makes sense for hospitals to look to their local communities to form partnerships, explore collaborative opportunities, and create more access points for healthcare consumers. "Hospitals today are charged with the unique task of staying relevant in a market that is extremely dynamic, competitive and evolving," says Monica Leslie, Managing Consultant at SCP. "One survival strategy is to find strategic partners in the community to deliver mutual benefits, such as employee wellness programs like Wellness Works; other healthcare providers that offer clinical service lines where the hospital may lack proficiency; and links to social service, government, and faith-based organizations, as well." Hospitals aren't limited to local partnerships, but can also build regional and national relationships. Examples include mergers with larger health systems, affiliating with nationally-known clinical partners to provide additional services, and contracting with resources like SCP to outsource departmental management. Cleveland Clinic is a good example of a partnership initiative on a global scale, according to Leslie. "Cleveland Clinic affiliates with different hospitals nationally and worldwide to offer its best in class Cardiac specialty services," Leslie says. "Not only does this result in a solid revenue stream for the Clinic, but also helps the affiliate hospitals improve their quality outcomes and market position." With a purchasing power of more than $200 billion annually, millennials aren't just economic influencers but also trendsetters — and healthcare is no exception. The coming of age of the Millennial cohort continues to prompt a shift in the way healthcare is consumed. For example, instead of visiting a primary care physician, this group prefers to go to a retail or acute care clinic to save time, an opportunity hospitals should seize, Leslie says. "Hospitals need to begin accounting for and designing strategies around generational preferences when it comes to care delivery models," she says. "That includes offering access points in convenient places, such as grocery stores, pharmacies, and schools through the development of virtual primary and minor acute direct-to-consumer models, as well as with digital tools and applications." Millennials also have interest in adopting telemedicine use, according to a survey by Salesforce. They see it as more cost-effective and less time-consuming than visiting the doctor — yet another trend to which hospitals should pay close attention. The Care Giver and Baby Boomer cohorts are expected to closely follow this preference. 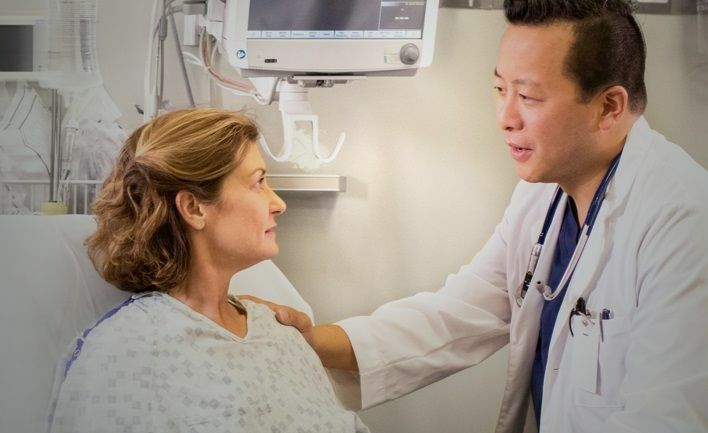 Customer loyalty programs, formerly the domain of retail stores, credit card companies, and airlines, are becoming more widespread among hospitals and health systems due to their ability to increase patient lifetime value and the revenue and data that accompanies it. After all, as in retail, acquiring a new customer (patient) is more expensive than keeping existing ones. "If loyalty matters in the retail world, it should also matter to healthcare providers, especially in an era of ACOs where patients can move between clinicians and health centers freely," says Bryan Arkwright, Managing Consultant at SCP. He advises hospitals to test loyalty programs that are simple, straightforward, that reward consumers, and create sustainable, lifelong relationships with patients. Rising healthcare deductibles mean patients are faced with more out-of-pocket costs and healthcare providers with more bad debt. An article in RevCycle Intelligence, reporting on a McKinsey & Company study, said that healthcare providers only anticipated collecting 50 to 70 percent of a patient’s balance after a visit, and 70 percent stated that it takes at least a month to receive payments from patients. POS payment collection works because patients are more willing to pay when they need service than after they’ve received it. Another payment innovation comes in the form of predictive analytics. Historically, hospitals have used predictive analytics to forecast individual patient outcomes. Today these models are maturing to AI algorithms that can be applied to entire communities or specific disease groups. The reason: "It's about understanding what's taking place financially day to day instead of quarter to quarter or even month to month," Arkwright says. "Investing in predictive analytics helps hospitals see where they will have a dip and why. They can see what's impacting them positively or negatively and plan for the future. It's all about timing and having the ability to make adjustments quicker." Telehealth programs enable hospitals to continue a relationship with post-acute care patients discharged from the hospital to home. Deploying Telehealth technology can result in revenue growth, creating opportunities hospitals can take advantage of that line up with CMS' shift to focus on higher quality primary care to reduce spending and improve outcomes. "CCM and TCM codes represent two big groupings that can bring in predictable, subscription-style monthly revenue," Arkwright says. "As healthcare organizations move away from traditional fee-for-service payment models and forge the kinds of ongoing connections telehealth provides, patients benefit from a quality standpoint and hospitals from a predictable revenue stream and high-touch model of care." 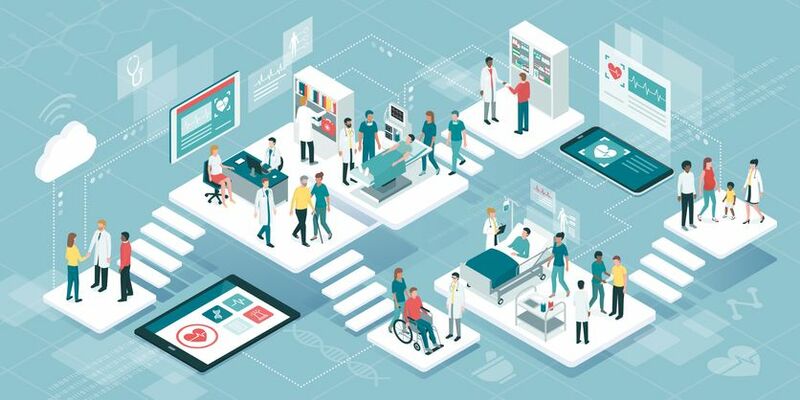 Hospitals must become more agile in their approach to hospital strategic plans due to the ever-changing nature of today's healthcare landscape. Simply put, the traditional, five-year plan cannot support the nimbleness hospitals demand today. "Hospital leadership can't plan long-term strategy anymore," Leslie says. "The reality is that healthcare world is changing too rapidly. They won't be serving you five years from now." Instead, she advises hospitals to adopt an agile approach to their healthcare strategic planning model. If you're interested in developing a real-world healthcare strategic initiative plan, contact Schumacher Clinical Partners Consulting Services. Experienced experts like Monica and Bryan are here to help your hospital not just survive but thrive in today's ever-changing healthcare landscape.